First-time homebuyers whose home loans are guaranteed by the Federal Housing Administration would benefit from an Obama administration move to lower mortgage insurance premiums. Under the plan, the housing administration will reduce annual mortgage insurance premiums by 0.5 percent, to .085 percent. The White House says the reduction means new home buyers would pay $900 less a year than they would without the change. The White House on Wednesday announced the reduction, which will be a centerpiece of President Barack Obama's trip to Phoenix Thursday. 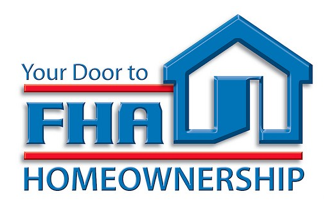 Current homeowners who refinance into an FHA mortgage would also benefit from the change. Even with the reduction, the new 0.85 percent premium is higher than historic norms. The rate was increased to raise FHA capital reserves which took a hit during the housing crisis. Meanwhile the private mortgage insurance folks have been undercutting FHA with rates averaging between .5% and 1%. There are other advantages to PMI that sometimes makes it more advantageous to get the private insurance when you qualify. Check with Bill Rayman about FHA, VA, and PMI when you have less than 20% down. Bill will provide you with clarity about which approach will work best for your specific situation.